Canada is a young country. Or I’m old. Canada is 150 years old this year. Since I’m one-half that age, Canada must be a young country. Or I’m old. It must be the former. We had humble beginnings, Canada and I. I was born in Jasper Place, now part of Edmonton but in 1941 it was a rudimentary town. We had no water or sewer. The bucket in the indoor toilet had to be emptied regularly to the outhouse in the back. The honey wagon would clean it out once in a while. Water was delivered by a truck to a cistern in the basement. A hand-operated pump supplied water to the kitchen. Milk was delivered by a horse-drawn cart. Canada was born with only four provinces at confederation. Like Jasper Place, it lay outside the huge territory it would eventually encompass. Canada was rebranded as much as it was born in 1876. John Ralston Saul, author of A Fair Nation, argues that Canada had already been a federation for 250 years before that. We are a Métis nation, comprised of indigenous people, English and French. Before 1876 our federation comprised mostly of indigenous people, numbering one-half million. By 1947 we moved to a suburb of Edmonton called Bonnie Doon, Scottish for “pleasant, rolling countryside.” We lived only one block away from Saint-Jean College where Catholic priests taught students who were about to enter the clergy. Now it’s the only francophone University west of Manitoba, a campus of the University of Alberta. The college allowed neighbourhood kids to use their outdoor rink when they weren’t playing hockey. That’s where I learned to skate. The broken hockey sticks made fine bows as long as they had a straight grain. We carved them with a draw knife and used them to hunt rabbits with bows and arrows in the nearby Mill Creek. The rabbits didn’t have much to worry about because of the thick bush and our poor aim. I wore horsehide moccasins in the winter which warm even on the coldest days. We would often spend entire winter days sledding on the hills in the ravine. By the time Canada was officially born, our indigenous people had been decimated by disease which they had no resistance to, and by conflict with their European guests. We have done OK, Canada and I, but we’re still young and have a lot to learn. Happy sesquicentennial, Canada! 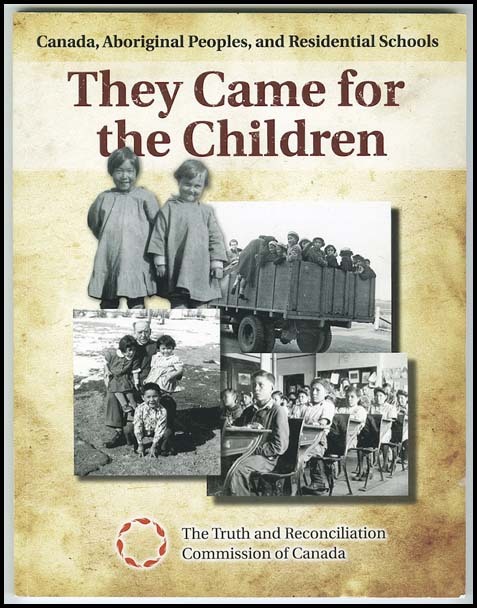 At first I found the accusation that Canada committed genocide to be incredulous. I don’t recall Canadians marching into villages and hacking people to death with machetes as happened in Rwanda. I don’t remember Canadians rounding up families and send them to gas chambers as happened with the Nazis. Yet, when the chief justice of Canada’s Supreme Court and the head of the Truth and Reconciliation Commission charge Canada with cultural genocide, I have to pay attention. Strange as it may seem, Prime Minister Harper helped me understand what cultural genocide is. He’s the one who condemned it in Turkey and Russia. What happened in Russia was similar too. The Soviets forced families into collectives to grow food for Russia even as those families died of starvation. Children were removed from families and stripped of their language and culture. Sounds familiar. These institutions were more along the lines of British child-labour reformatories than they were like schools. When children were unable to grow their own food, 4,000 died of starvation and disease. Depressing as it may be to live in a country that committed cultural genocide, there is a way forward. It starts in the distant past, before the 1870s when the shoe was on the other foot. Back then when native people were in the majority, European explorers would not have survived without the generosity of their hosts. Newcomers were not herded into camps and their wild British ways whipped out of them in lessons taught to the tune of the hickory stick. Canada needs to return the favour shown by our hosts. It almost happened with the Kelowna Accord in 2005 when then Prime Minister Paul Martin reached a $5 billion deal with first nation leaders to improve the health and education. Former Canadian Assembly of First Nations Chief Phil Fontaine called the Kelowna Accord a breakthrough for his people but calls for implementation have fallen on deaf ears. Our PM has defined what cultural genocide is by his condemnation of it in other countries. It’s time we dealt with it in our own back yard. Kateri Tekakwitha: Saint or Victim? 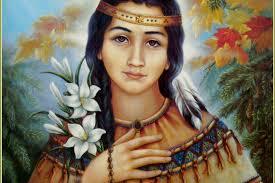 Her last words were “Jesus, I love you.” Kateri was a sickly child who died young. Smallpox killed her parents, left her half blind and her face scarred. Word of the apparent miracle spread quickly in 1680 but it took centuries before she was canonized as a saint. Her bones were spread almost as fast as the word. “Relics,” as her bones are called, were divided and distributed all over North America and some even made it as far as the Vatican. Many modern Mohawks who adhere to the Longhouse traditions see Kateri (Catherine) as victim of colonialism. How else would they consider a woman who left her native community to travel with priests? “The French instilled in her a foreign religion that promoted ideals contrary to the Iroquois Confederacy to which the Mohawks belonged,” explains Abley. This was the very church that was trying to remove the indian in the Indian. As miraculous as it seemed, the transformation of Kateri from a swarthy Indian to a “porcelain icon” was not enough for her to be designated a saint. It took the cure of a boy from the Coast Salish nation in Washington. The boy’s father heard of the “Lily of the Mohawks” as a child, so when his son contracted a deadly flesh-eating disease they prayed to Kateri for deliverance. A Mohawk nun heard of the boy’s plight and took a relic to the boy’s bedside and placed Kateri’s bone on his leg. Miraculously, the boy recovered. That became enough for Kateri’s canonization in 2012. While there are Indian “Kateri Circles” in 25 American states and she is revered in Guatemala, reverence is at an all-time low in her home town. An ordained Ojibway deacon who lives in Kahnawake says that the attraction of the Catholic Church as fallen off dramatically since he arrived in 1957. “When I arrived here, I’d say the reservation was ninety-eight per cent Catholic. Now they have trouble raising enough money to maintain the church that holds Kateri’s remains. Residents were at first worried that her canonization would lead to a tourist circus but after a few weeks, visits dropped off and that suits most inhabitants just fine. The Beothuk people of Newfoundland almost disappeared without a trace. The last known member of the tribe died on June 6, 1829. The only reason there is any historical record has nothing to do with the desire of the Beothuk to have anything to do with the settlers. No, they kept to themselves and avoided the Europeans. Unlike the Mi’kmaq, who were keen traders with the newcomers, the Beothuk were as furtive as birds in the famous island mist. 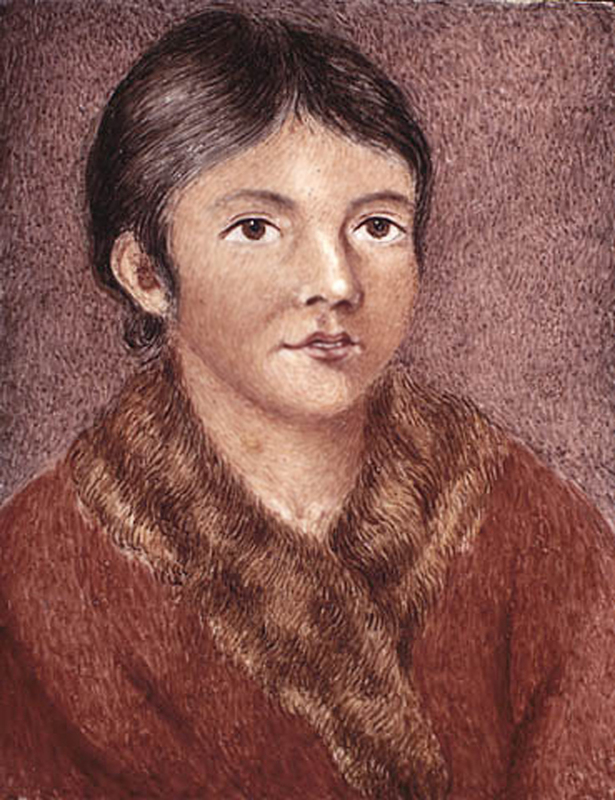 Circumstances surrounding the capture of the last two know Beothuk had more to do with misfortune or hostility. The last know member was found by settlers, weak and starving. She was described as “tall, and majestic, mild and tractable, but characteristically proud and cautious.” The other Beothuk, Demasduit, who was her aunt died nine years earlier. She was taken by settlers in a raid on a Beothuk camp in which Demasduit’s husband and infant child were killed. Because sightings of the Beothuk were rare, settlers were curious of Demasduit. A local philanthropist became interested in the language and customs of the captive Beothuk. The governor’s wife painted a portrait of Demasduit (shown here) which is now stored in the Portrait Gallery of Canada. Other than these last two Beothuk and what could be learned from Demasduit, the historical record of these reclusive people is thin. The disappearance of the Great auk is less baffling. The penguin-like bird lived on the nearby Funk Island. Recent archaeological explorations have found that the auk was a source of food for the Beothuk. The eggs were 65 larger than chicken eggs. The Beothuk boiled them or dried them and made protein flour. The birds were fat and nutritious. And they were easy pickings because the auk had no fear of humans; they could be loaded into birchbark canoes like groceries into the trunk of a car. Archaeologists have discovered a link between birds that went beyond Beothuk diet. They had a reverence for the escape from this world that winged and water birds represented. Archaeologist Todd Kristensen explains: “However, our recent archaeological journey into the minds of the ancient Beothuk began with the premise that what occupies our stomachs tends to occupy our thoughts as well” in Canada’s History magazine. Bird motifs have been found at Beothuk burial sites on the carved plates of caribou bones. The motifs represent both winged Arctic terns and webbed auk feet. Many Beothuk burial grounds are found on isolated islands, as if these remote dots in the ocean would provide a staging ground for the departure of the Beothuk into the next world. Perhaps the disappearance of the Beothuk is not so mysterious after all. Faced with the invasion of deadly settlers, they escaped to a new found land of their own. B.C.’s Attorney General Geoff Plant would feel a whole lot better if he didn’t have to explain new treaties in light of last year’s controversial referendum. The latest draft treaty with the Snuneymuxw people looks like a winner. Until you compare it with results of the referendum that cost taxpayers $9 million dollars and angered first nations, that is. The Snuneymuxw treaty is a first. If ratified, the B.C. Liberals will have negotiated the first treaty through the B.C. Treaty process – – which cost $500 million over 10 years spent with nothing to show. The former NDP government couldn’t get anywhere with it. They negotiated the Nisga’a treaty outside the process. Here’s what Chief Wesley has to say now. “There are breakthroughs. We’re glad of them. We worked really hard to get to where we are today,” he recently said. More than 80 per cent of those who returned ballots agreed with the concept of municipal governments for first nations treaties. Premier Campbell thought that the results of referendum were significant. “After many years of being shut out of the treaty process, the people have finally had their say – and their message to first nations and to all Canadians is unmistakable,” Campbell said on July 3, 2002. 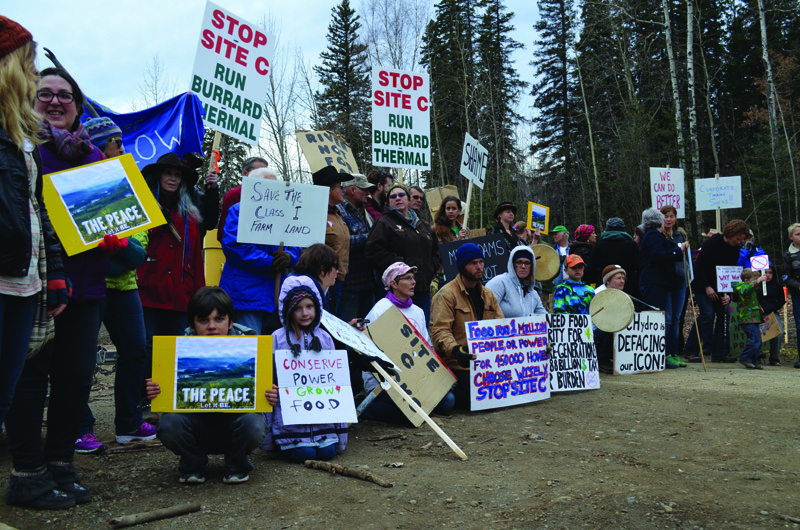 The unmistakable message to B.C.’s first nations was that they could expect tough bargaining. They could forget about powers of self government like those in the Nisga’a treaty which was negotiated by NDP government. The Nisga’a treaty proposed substantial powers of self-government–including an autonomous legislature with lawmaking powers over adoption, citizenship and land management. It transferred 1,992 square kilometers land and $165.7 million to the 5,500-member Nisga’a band in northern B.C. So, now that the Liberals have the voice of the people, what does draft treaty recommend? It looks quite familiar. 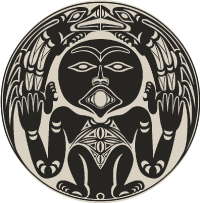 The Snuneymuxw treaty proposes substantial powers of self-government–including an elected government with lawmaking powers over citizenship, post secondary education, adoption, and land management. It will transfer 47 square kilometers land and $75 million to the 1,300-member Snuneymuxw band in on Victoria Island northern B.C. The Snuneymuxw treaty looks very much like the Nisga’a treaty on a smaller scale, including the self governing powers of a nation-state. If Gordon Campbell were still in opposition, would he take the government to court for failing to follow the referendum principle of self government? Maybe that’s why the Liberal’s are reluctant to talk about it. Not that Attorney General Plant was willing to admit it. “What we think we’ve achieved in Snuneymuxw is a form of self-government that is consistent with what the people of British Columbia asked us to try to achieve in the referendum campaign. . .,” said Plant (April 16 The Daily News). The Attorney General should just forget the results of the confrontational referendum that was no more than a political exercise. Treaties will go a lot smoother without it. Wacky referendum takes province back through the looking glass. “It’s one of the most amateurish, one-sided attempts to gauge the public will that I have seen in my professional career” says pollster Angus Reid. He’s talking about B.C. Liberal’s referendum on native treaty negotiating principles. Ah, Angus, did you think that weird politics was gone from B.C. just because the Liberals are in power? Gordon Campbell may not be as flamboyant as former premier Vander Zalm was, but the Liberal’s referendum is a sign of bizarre behaviour. Consider the musings of our Attorney General Geoff Plant in what he apparently thinks will pass as reasonable statements. “If only three people vote in the referendum,” says Plant, “and two of them vote in favour, then the results will be binding on the government.” If two vote against, it won’t. Doesn’t that have an Alice in Wonderland ring to it? As chief legal counsel to the government, Plant has these words of advice, “the referendum won’t necessarily be legally binding.” Talk about stating the obvious. Take the first question, for example. It breaks one of the basic rules for writing referendum questions — it states the question in the negative. Voters must vote yes if they think that private property should not be expropriated. Never mind that the question itself suggests the improbable (natives are not looking to expropriate private land). “What private lands are we talking about? 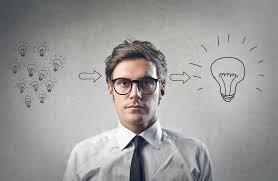 It’s hypothetical,” says Sabina Singh, political scientist at the University College of the Cariboo. The referendum will set native back land claims at a time that B.C. could use the billions of dollars lost in potential land development. So why are the Liberals purposely making enemies out of a growing number of British Columbians through this referendum? Although Campbell is critical of special interest groups, it’s a right-wing special interest group that is guiding the Liberals. They honestly think that a yes vote in this referendum will give them power to override native constitutional rights. Under the Delgamuukw decision (1997), provinces are required to bargain native land disputes in good faith. Can premier Campbell claim, without a smirk on his face, that a yes vote to his referendum amounts to a gesture of good faith? Campbell’s small group of right-wing advisors are deluded into thinking that natives will give up everything because a minority of British Columbians vote “yes” in a flawed referendum. And in return, natives will get what – – government assurance that they will bargain in good faith? We might as well insult native intelligence by offering beads and firewater for land. This referendum will go down as a curiosity in the history of B.C. politics. “Five years from now it will seem a very minor footnote in history,” says the Fraser Institute’s Gordon Gibson. The government slips from weirdness to fantasy as it alienates a growing number of British Columbians. Campbell can no longer claim that it’s just his former political enemies lining up against him. Not when it’s lawyers, judges, doctors, mining exploration companies and church leaders. As Premier Campbell dismisses more and more British Colombians, he becomes isolated behind walls of his own construction. Soon he will rattle around in the near empty halls of his government, listening to the echo of his own voice. It’s very reminiscent of ex-premier Vander Zalm when he lived in theme castle in Fantasy Garden World. Welcome back to wacky B.C. politics.